The International Sportsmen`s Fair is the biggest fair organised in fishing, hunting and outdoors industry in Finland. 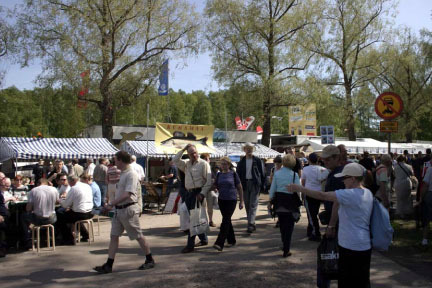 The Sportsmen’s Fair has been organised in Riihimäki since 1972. This year the event takes place June 9‒12. The leafy Sports Park is a handy and pleasant location for the fair. Hunting, fishing, trekking and nature enthusiasts and professionals get a chance to explore the commercial services and products available and meet with the experts of the various national organisations operating in the field.